The Earthquake Engineering Research Institute Student Chapter at the University at Buffalo (UB-EERI) is hosting their 2nd Annual Earthquake Engineering Symposium on April 20, 2018, from 9:00 am to 3:00 pm. The purpose of the symposium is for student researchers to present the latest in earthquake engineering research to academia and industry and to provide a great networking opportunity for the future leaders in the field. The keynote presentation will be given by Dr. Laura N. Lowes from the University of Washington on tools for modeling the non-linear response of structural systems subjected to severe loading. In addition, there will also be a Student Research Competition in which students will present research on topics related to Earthquake Engineering. Interested students are requested to submit their abstracts (~100 words) to cmurillo@buffalo.edu by March 20, 2018. Please see the attached PDF for more competition details. 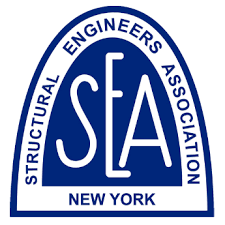 The EERI New York/Northeast professional chapter will provide up to two $200 travel grants for local students to attend and present at the symposium. If you would like to be considered for one of the travel grants, please submit an application here by March 31st, 2018. Any questions related to the travel grant can be directed to Ezra Jampole at ejampole@exponent.com.